Age 86 of Newbury Twp., died March 30, 2019 at Blossom Hill Care Center, Huntsburg. 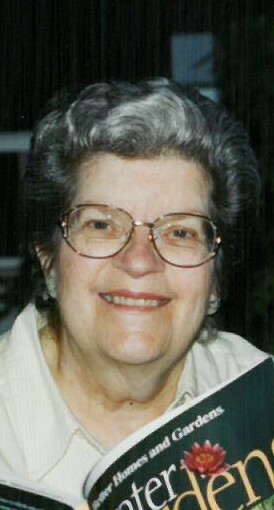 Born August 6, 1932 to Tracy and Pearl (nee: Cox) Hull in Auburn Twp., she was a lifelong area resident. She was an avid reader, enjoyed gardening and baking; however, sewing was her passion. Betsy won many awards for her sewing and baking at the Great Geauga County Fair and the Ohio State Fair. She is survived by her husband of 68 years, David of Newbury Twp. ; children Daniel of Newbury Twp., Kathy (Frank) Dragolich of Huntsburg Twp., Meri Lynn (Ray) Klingensmith of Parkman Twp. and Barry (Jean) of Newbury Twp. ; grandchildren Alicia and Kyle Williamson; Frank (Allison) Dragolich, Don (Mariah) Dragolich, Geoff (Cindy) Pulsford, Tom (Anna) Dragolich, Kim (Billy Hogue) Sutter, Kristin (Tim) Bronkall, Kara (Tom) Berigan; Dmitry, Maria and Katerina Klingensmith; Joshua and Noah Williamson; Nathanial, Gabriel and Jacob Mananquil; and 18 great grandchildren. Betsy also leaves her sister-in-law, Juanita Hull. She was preceded in death by her parents, 10 siblings and daughter-in-law, Joan Chapman. The family will receive friends Tuesday, April 2 from 4:00 – 7:00 PM and from 10:00 – 11:00 AM on Wednesday at the Burr Funeral Home, 116 South St., Chardon. Funeral service will be held Wednesday, April 3, at 11:00 with burial immediately following at Munn Cemetery, Newbury Twp. The family suggests donations to the Geauga County Dog Warden, 12513 Merritt Drive, Chardon, Ohio 44024 or Newbury United Community Church, 14916 Auburn Road, Newbury, Ohio 44065. Remembering Betsy and lighting a candle in her memory. She was a very kind and compassionate woman and will be missed. Meri Lynn, Barry and all family....so sorry to learn of your loss. May God wrap his loving arms around you and comfort you as only He can do. One day we will be reunited again but may the good memories soon allow you to smile in having her in your family. I pray for that.